Alright, it's spring (he said tentatively). Even though the snow just melted, there's a surprising number of plants flowering. Creeping Charlie is among the earliest of our nonnative lawn weeds. 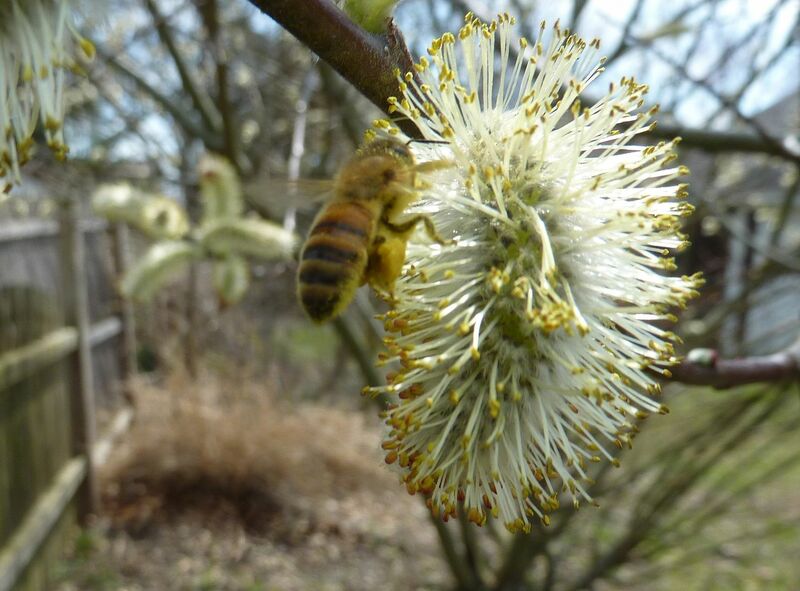 Honeybees love this plant for nectar but to my knowledge it's an awful source of pollen. It's a fast spreading running weed, that's really easy to remove, but it's also in the mint family which is notorious for it's weediness. 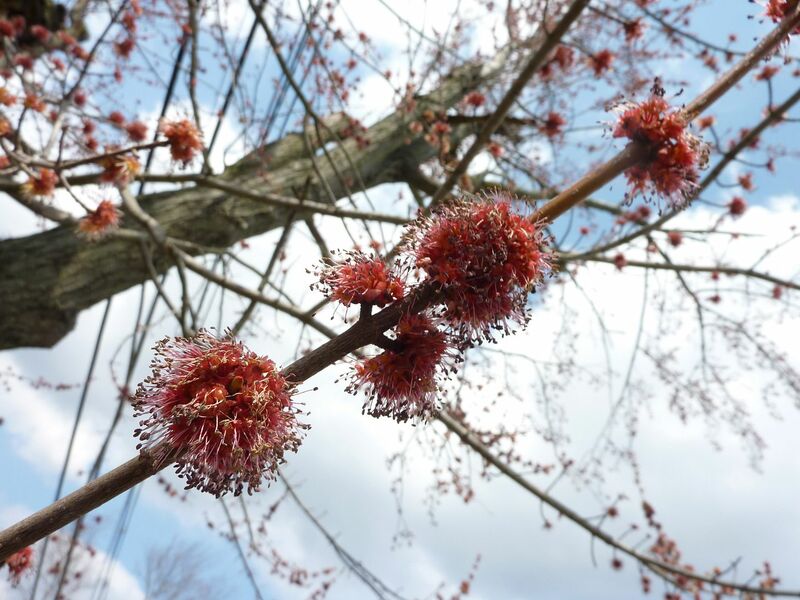 Honeybees and other early pollinators were also buzzing around the Red Maples, Acer rubrum. Unfortunately most of the action took place up at the top of the tree, which is odd considering how windy of a day it was. Also in my walk around the neighborhood, I found Honeybees were more common around trees that were closer to my hives. 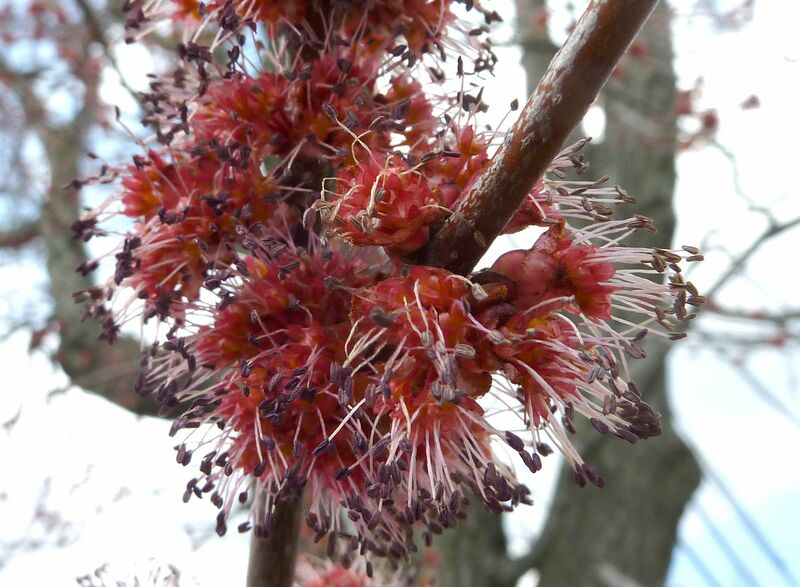 While Maples produce a good amount of pollen they're also balanced in producing nectar. However they were not the highlight of bee activity. That honor falls to the Willows. 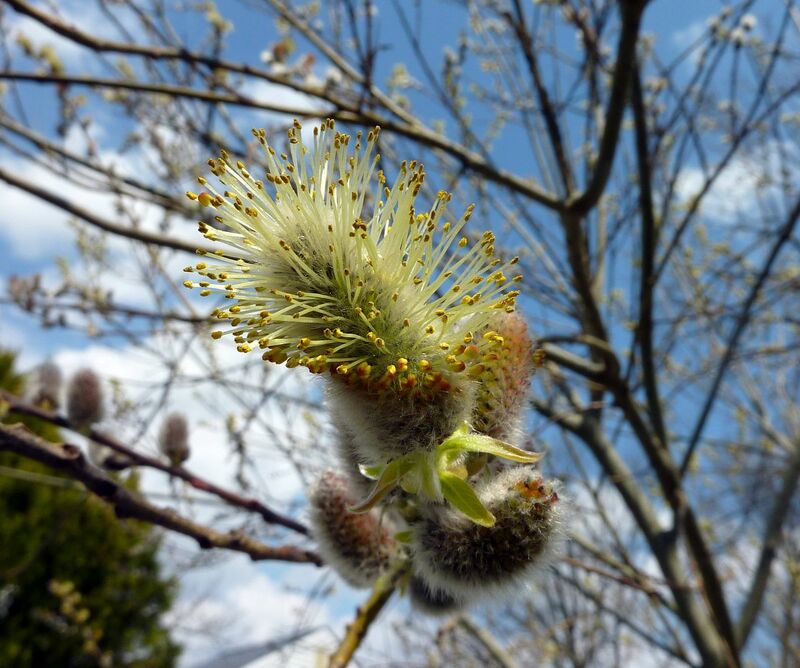 Willow trees are wind pollinated and there are a number of them around the neighborhood. 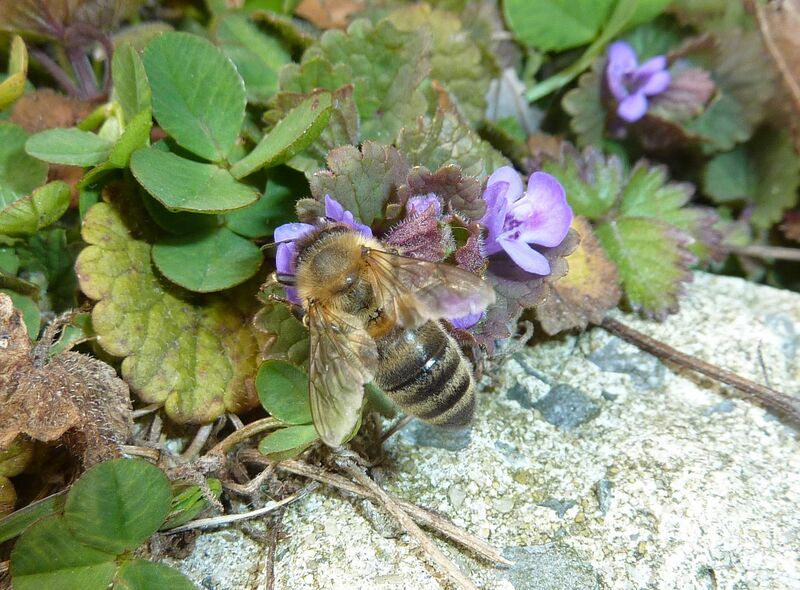 Pollen is important now because the queen bee is greatly expanding the size of the brood nest. All winter she'd held back to produce just enough bees to keep them warm. 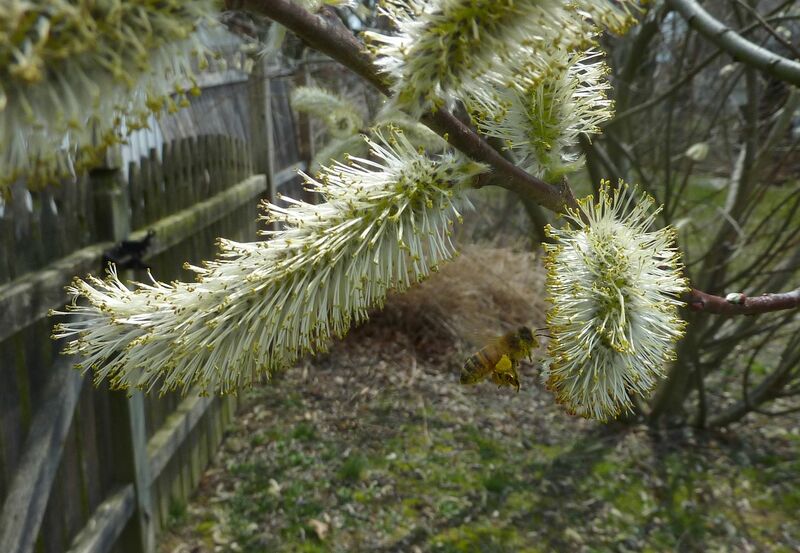 The Willows were absolutely swarming with bees. Some of them were becoming covered in pollen all over their bodies. 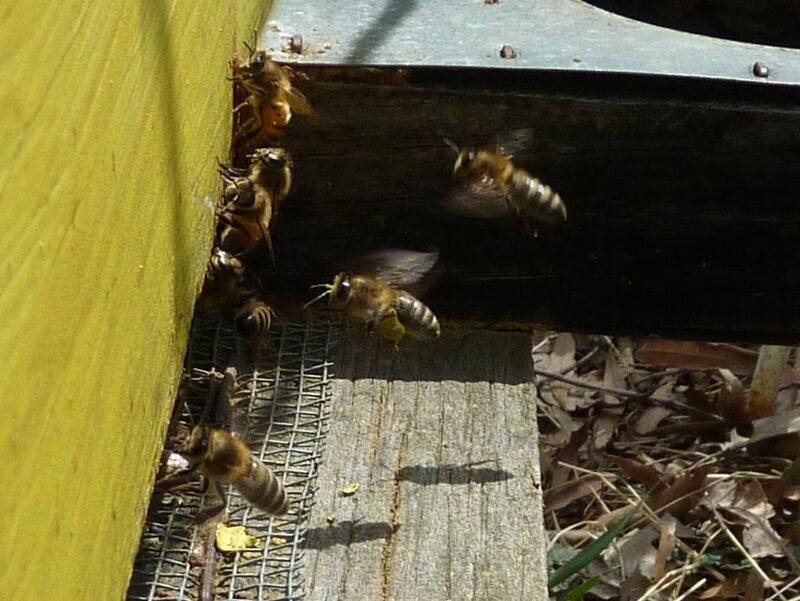 And it didn't take long me long to find bees covered in this pollen making it back to my hives.